We all love decorating our homes for Christmas, but sometimes we want to move away from the traditional red and green decorations and take our home to the next level. Using white is a great way to achieve a contemporary look with your Christmas decorations. I have seen white Christmas trees, but I think that is going a bit far, work with a green tree, real or artificial depends on your taste, there are pro’s and con’s for both. Decorate the tree with white balls, stars, tinsel, strings of white beads or crystals. Use white fairy lights to give a sprinkling of light to the look. 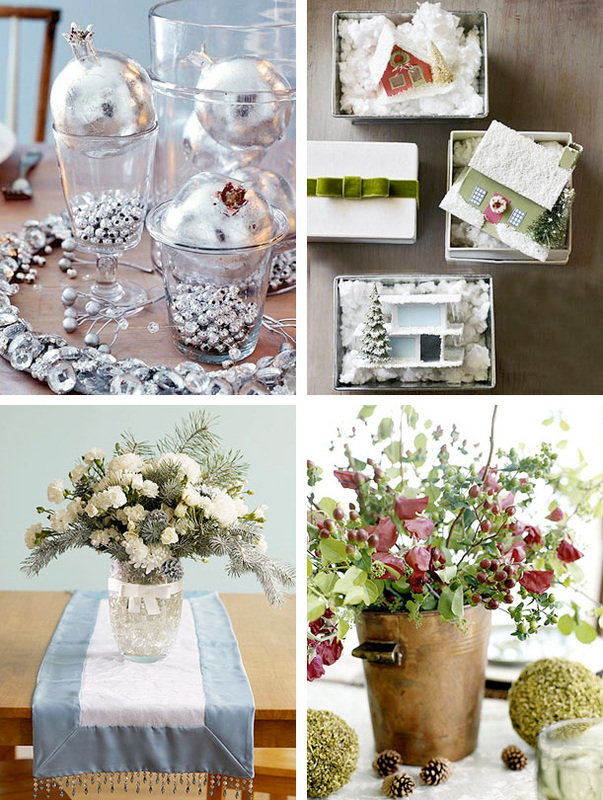 We have rounded up 30 White Theme Christmas Centerpieces Decorations Ideas. Have a look these ideas and get inspired for coming holiday session.